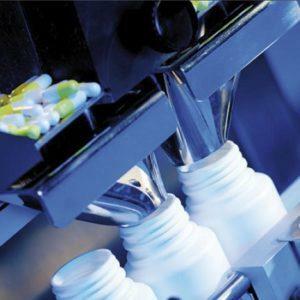 Blister packaging is a common unit-dose packaging for various pharmaceutical products. Blister packs are air and moisture tight and thus assure product integrity and often prolong shelf life. Together with Romaco Noack, PPS offers different blister packaging solutions; from basic and small scale production to large scale integrated packaging solutions, complete with cartoning and control equipment. 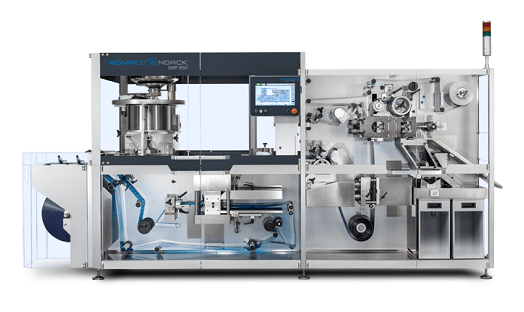 The continuous motion blister packaging solution from Romaco Noack is suitable for a wide range of products and ideal for small batch sizes and frequent product changes. The blister machines are designed with a high level of automation and offer optimal OEE (Overall Equipment Effectiveness) values. Maximum output is 700 blisters per minute, depending on configuration. Quick changeover and easy to operate. A Romaco Noack intermittent motion blister solution is ideal as an entry-level blister packaging machine with a number of available upgrades, for increased productivity. It can work as a standalone unit or in-line with a cartoner. Maximum output is up to 480 blisters per min. Quick changeover and simple repeatable operation. Processes all common thermoformable and alu cold forming films.